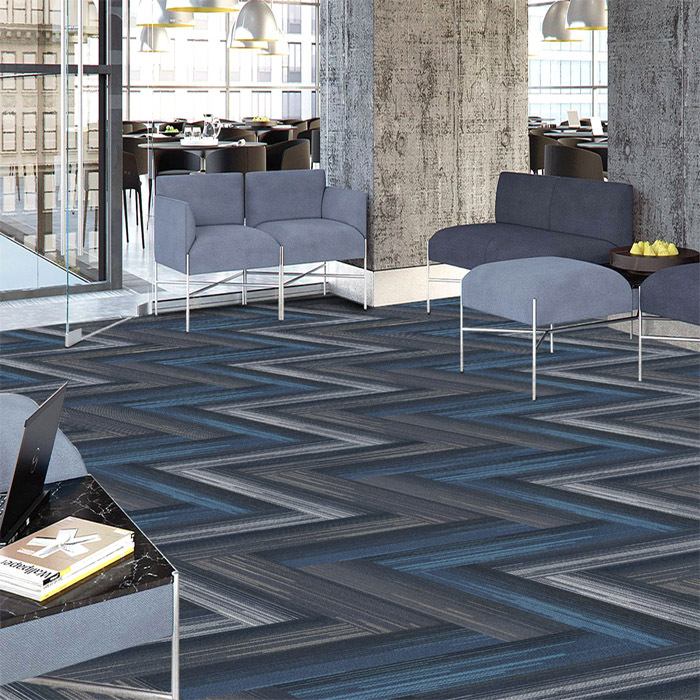 Carpet tile has many virtues, including ease of installation. You don't need to worry about fitting and stretching it the way you do with wall-to-wall carpeting. It also sticks easily to the floor, and some manufacturers design tiles to stick to the floor without adding adhesive. But carpet tile has a few common problems, including tiles coming up from the subfloor after installation. Use several techniques to prevent or repair this problem, both during and after installation. Take the time to adequately prepare the subfloor prior to installation to prevent tiles from popping up. Make sure that the subfloor is clean, with no dust or dirt. Remove tape, tack strips or anything else that might make the floor uneven or make it difficult for the adhesive to stick. In many cases, having a floor that is very dry and a well-ventilated room will help adhesion. You should read the instructions on your product for more specific advice. A number of adhesives and methods of using adhesive work for carpet tile, though the best kind will depend upon the kind of tile you use. Again, this is a technique that must be used during the installation process. You can lay double-sided tape in a grid on the floor, with the tape running along every third or fourth row of tile. This helps to "lock" tiles adjacent to the taped tiles. You can also use releasable adhesives, which stick to the corners of tiles, again keeping adjacent tiles together. After installation, you can prevent carpet tile from popping up by allowing adequate time for the tile adhesive to stick to the floor. Don't walk on the tiles or add furniture to the room right away. Let the adhesive stick to the floor a while when using a peel-and-stick style tiles or adhesives, or allow the adhesive to dry if you have tiles that require mastic adhesive. This helps the tiles to properly bond. You can also use a roller to help the tiles get good adhesion to the floor. If you develop loose tiles, you can prevent further damage to the floor by being careful with moving furniture. Don't drag furniture across the floor or avoid any loose tiles when moving furniture. Avoid doing anything that can "catch" the edge of a carpet tile and peel it up. One of the appealing qualities of floor tiles is how easily they can be removed. You can simply pull up loose tiles and replace them. You can also try adding more adhesive underneath the original tile to make it stick to the floor.